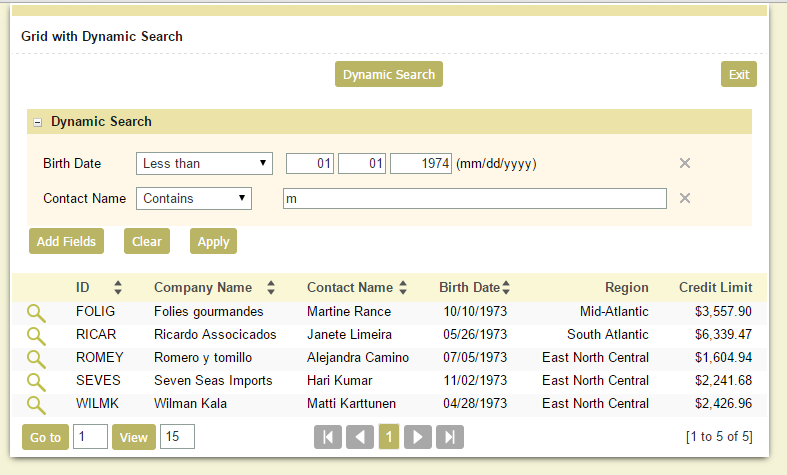 Dynamic search allows the end user to search the data from the grid by the desired parameters directly from the application. This means that there is no need to navigate to other applications to perform the search and you will save a lot of time. 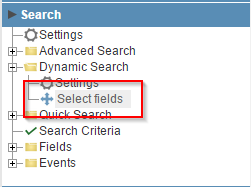 You can modify and add fields to the dynamic search exactly as you will need them. If you want to check out this feature by yourself, you can download a free 20-day-trial version of ScriptCase at http://www.scriptcase.net/download-scriptcase/. Remember that you have full support by our certified technicians during the trial!! 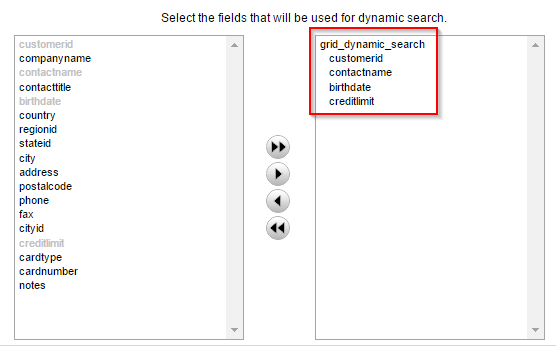 In this example we will see how to create and use Dynamic searches in Grid applications, which allows performing advanced searches without navigating between applications. 1. 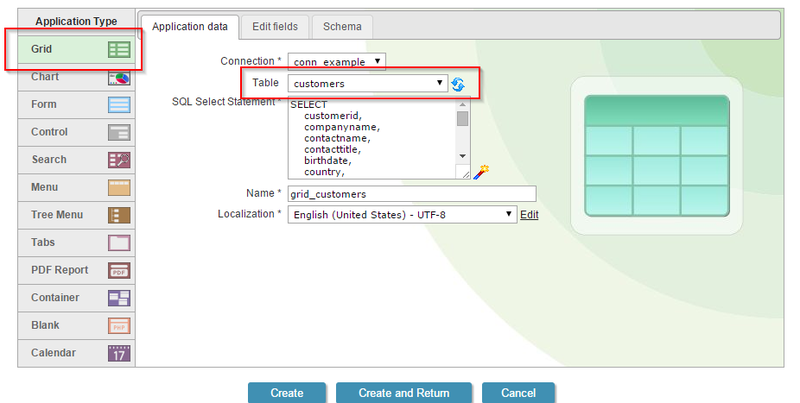 We will create a new Grid application based on the customers table. 2. Open the guide “Filter” in the application menu, then click on “Dynamic filter>>Select fields”. 3. Select the fields: “customerid”, “contactname, “birthdate” and ”creditlimit”.